financed by the European Commission. The Guide has been drafted with inspiration gathered from similar guides published in Spain and in Denmark in 2017 and with the support of the consultancy organization DanSense. This material was redeveloped, evaluated and scrutinized by an expert panel in three separate rounds in 2018. This Guide is intended to be used at national level. 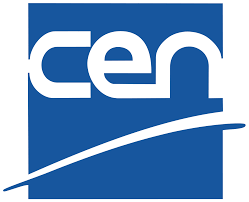 Its actual use in the next months will serve as a testing period and will generate input and feedback for its further improvement and validation in view of its future possible endorsement as a formal CEN Guide.